As a young parent aware of the importance of reading aloud, there is no shortage of books in our house at any one time. We visit our public library at least once a week. Our kids have a lot of latitude about what they want to read. At the same time, we “push” books on them when we see opportunity. Just recently, our family attended the Mary Poppins musical at a local theater. This event was the impetus for reading aloud the novel it was based on, by P.L. Travers. We have fun discovering how the book is different than the musical. Besides what I read to my kids over break, I also found time to read for myself. 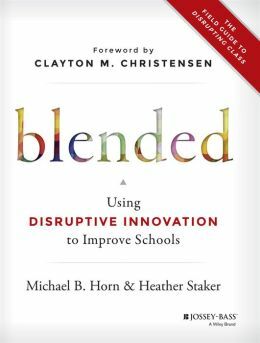 One book I recently finished is Blended by Michael B. Horn and Heather Staker, about blended learning in schools. I thought it was very informative. However, there was too much corporate influence. Plus, I felt the authors built a false sense of urgency to persuade school leaders to purchase the latest and greatest technology. I also read The Magicians, the first book in a trilogy by Lev Grossman, about college students attending an institution that teaches magic. Think Harry Potter after Hogwarts. I did enjoy this book, as the dialogue was sharp and the plot was well-paced. 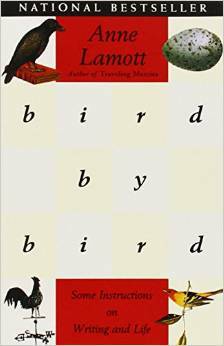 Finally, I read Bird by Bird, a memoir on writing and life by Anne Lamott. This author displayed a wicked sense of humor as she shared her knowledge and wisdom. I share this with you because of how strongly I believe in the importance of being a lifelong reader. Yes, for our students, but also for all who consider themselves “educated”. No matter how much I read, whether it is the Sunday paper, or the next novel in The Magicians’ series, or reading aloud Mary Poppins to my daughter, I always discover ways to become smarter. This is more than just what I know. It is how I see the world and how to take different people’s perspectives. Reading is as much about building dispositions as it is about skills and understanding. That is why I gently recommend to you, if you don’t already do so, to share your own reading lives with others. Maybe it is a quiet book club with friends, or a small online community, or even posting your thinking on social media such as Goodreads. Whatever the case, making our reading lives known provides a model for others around us, which helps all of us become better readers.